You may yawn "oh, it's just another boring space station time-lapse movie—meh!" and don't watch this video, but that would be a big mistake. 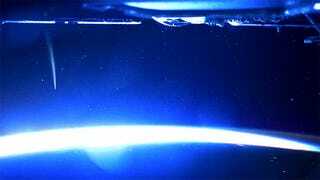 This is, by far, the most breathtaking time-lapse from space I've ever seen. It even has a comet flying through. Goosebumps. 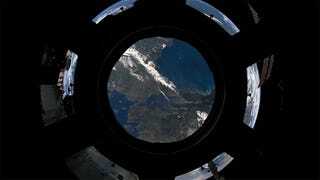 David Peterson's video—created from ISS mission photos—really captures the incredible awe one must feel every time you wake up in a place like that. The crispy textures, the color, the lighting, those outside shots showing the Soyuz and the cupola... it's unreal. And then—boom!—a comet in the distance. Incredible.